Andrew McCabe was sworn in as the FBI acting director at 5:30 p.m. ET Tuesday, shortly after President Trump fired James Comey. It's unclear and looking increasingly unlikely that McCabe will be the permanent replacement for Comey. Comey's firing came as a shock to many at the FBI, with one person saying "it was like we lost a member of the family." A current special agent at the FBI told CBS News that McCabe is a "good guy," but said the "vast majority of the bureau is in favor of Director Comey." McCabe is a Duke graduate and well-respected within the law enforcement community, CBS News' Jeff Pegues reports. A lawyer by trade, he joined the FBI in 1996 in the New York Field Office, according to the FBI's announcement when he was promoted to deputy director in Jan. 2016. But there's a possibility his time at the helm of the FBI could be short-lived. McCabe is the primary target of a Department of Justice watchdog investigation into Hillary Clinton's emails. His name surfaced over the summer during the investigation because his wife, Jill McCabe, received $500,000 in campaign donations in 2015 from Virginia Gov. Terry McAuliffe, a close ally to the Clintons. There have been questions swirling around why Andrew McCabe didn't recuse himself from the email investigation. 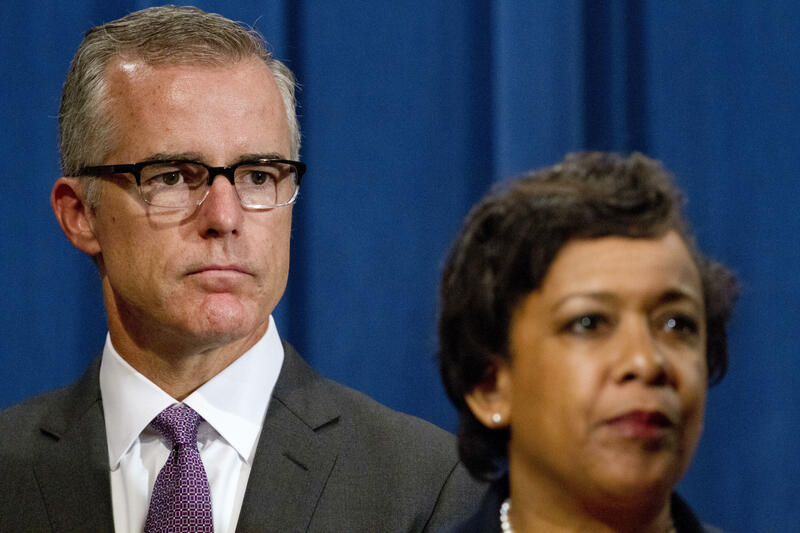 A retired FBI agent and close friend of Comey's cautioned that the FBI doesn't "have a strong number 2 guy in McCabe. Finding someone both sides will agree on as a replacement will be very tough." When Mr. Trump took office, Rudy Giuliani's name had been floated as a possible replacement, but CBS News' Paula Reid reports that sources tell her Dana Boente is currently being considered. Boente is the U.S. Attorney for the Eastern District of Virginia and he had been appointed as acting Attorney General when Sally Yates was fired, and until just a few days ago had served as Deputy Attorney General until Rod Rosenstein (who recommended Comey's firing) took over. Boente, who has the experience, is favored by Attorney General Jeff Sessions, Reid reports, and he is likely to pass the "political smell test," Reid says.